Godfathers play an important role in the life of a child. 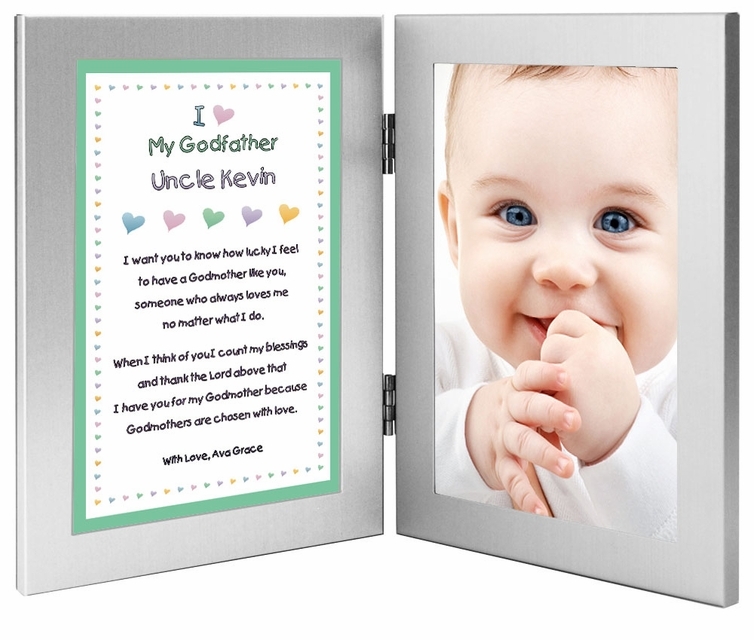 This keepsake is a cute way of thanking him for being your son's or daughter's Godfather. 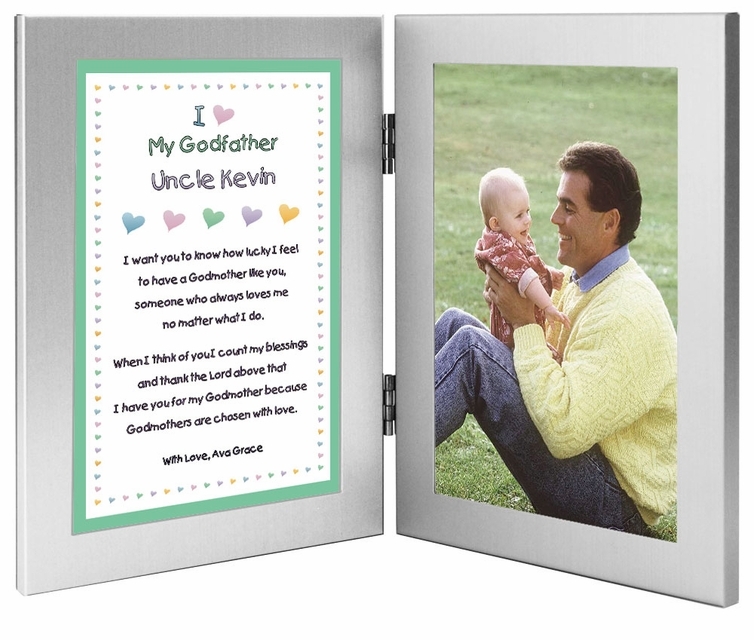 Customize the poem in the left frame and add a 4x6 inch photo to the right side of the double frame. Gift for Godfather from his Godson or Goddaughter to thank him for the role that he will play in their life. 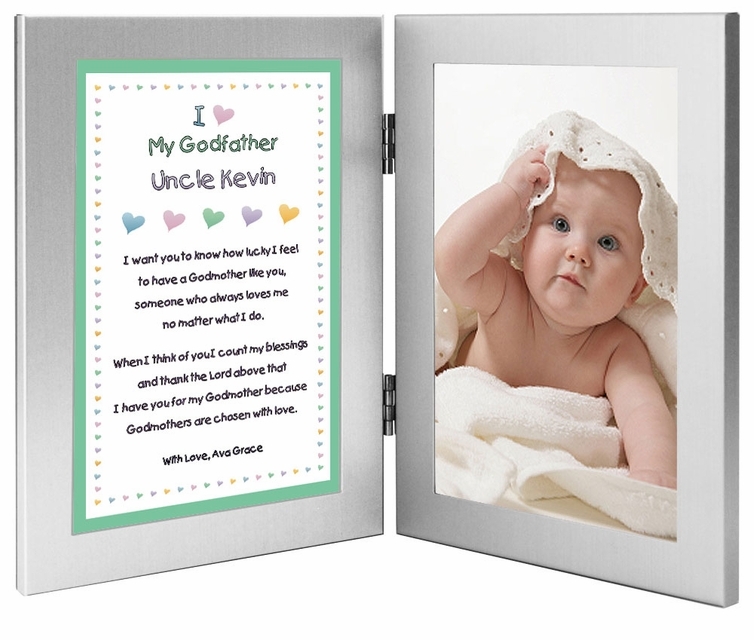 Personalized poem in left frame and a 4x6 inch photo can be added to the right frame. A unique keepsake that will be displayed proudly. Godfathers are chosen with love.